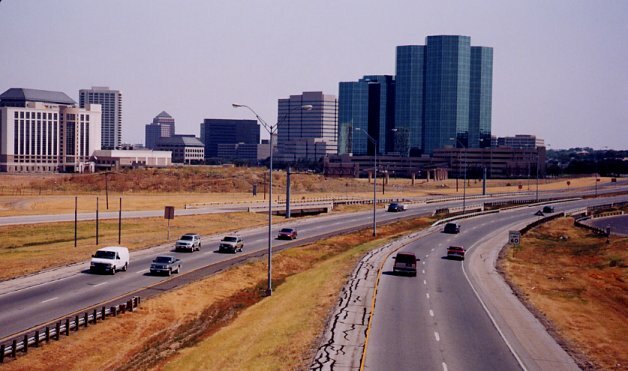 The reconstruction of I-30 east of I-635 was completed in 2000. The freeway is now an 8 lane facility. The western segment of I-635 near DFW airport is built on an extremely wide right-of-way. I estimate the right-of-way width to be about 500 feet. The 114 freeway near DFW airport. The 114 freeway near the Las Colinas office development. There are only 4 main lanes on this section of freeway. As of September 2000, a study is underway to determine how much future capacity is needed.